Destination weddings and beach weddings often seem like a dream, but with a range of different all inclusive wedding packages at Villa del Mar Puerto Vallarta and our team of expert planners, coordinators, photographers, designers, and florists, we’re ready to make your Puerto Vallarta event a dream come true. Leave the stress and worries of wedding planning to us and focus on celebrating the love and joy you share as a couple. A stunning oceanic backdrop, a luxury Puerto Vallarta resort, and all inclusive wedding packages await you when you choose Villa del Mar Puerto Vallarta for your Mexico weddings. Puerto Vallarta, Mexico has become one of the top wedding locations, and the team at Villa del Mar Puerto Vallarta is highly trained to assist you in preparation and execution of the perfect wedding day. Our beach weddings begin in our sumptuous suites bedecked with floral arrangements prepared by our florist for this intimate moment between a bride, her friends, and family. Grooms are given a complimentary separate room where they can avoid seeing the bride before the wedding and to socialize with friends as he prepares to recite his vows. Both walk down the aisle to their destination weddings under a canopy decked in sheer white fabric flowing in the ocean breeze. Surrounding the moment are family and friends who share in the love of the beach wedding from their seats which are decorated to match the colors of choice. Most importantly, the all inclusive wedding packages at Villa del Mar Puerto Vallarta include a minister who will perform a spiritual beachfront ceremony to help you profess your love and commitment in front of your loved ones. During your stay at one of the best wedding locations in Mexico, you can enjoy some time just for two, which allows you to relax and enjoy all the romance of a beach wedding in Mexico. You’ll wake up after your destination weddings to breakfast in bed in your spacious suite. 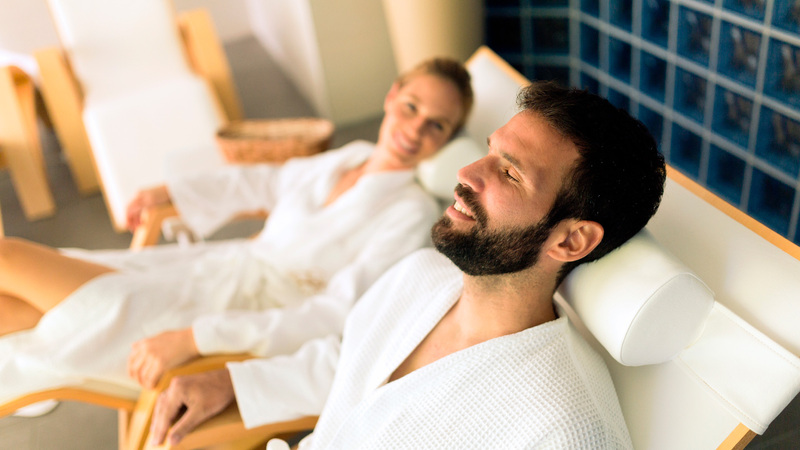 Throughout your stay, you’ll enjoy complimentary spa packages and discounts on treatments with our all inclusive wedding packages. Our several onsite Puerto Vallarta restaurants will prepare sizzling steak and scrumptious desserts each night as you continue to celebrate. 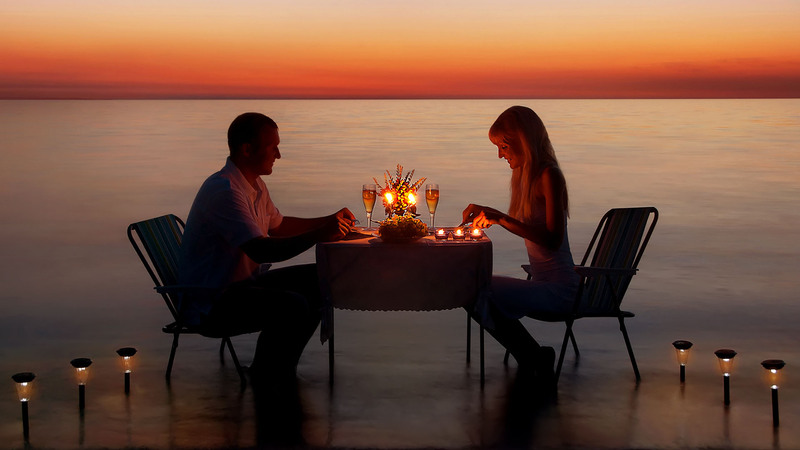 Candlelit dinners on the beach for two allow you and your spouse to enjoy a quiet and romantic evening alone before or after your Puerto Vallarta event. Weddings in Puerto Vallarta are celebrated long after the honeymoon ends as the love strengthens with each passing day, which is why at Villa del Mar Puerto Vallarta, we invite you to return for a complimentary anniversary stay (dependent on the package you choose). Couples can relive their weddings in Puerto Vallarta a year later as they enjoy relaxation and romance on the soft sands by the ocean. Experience the beauty of Puerto Vallarta, Mexico by exploring the jungle or sailing on the sea. Stroll along the cobblestone streets of charming downtown Puerto Vallarta, Mexico and stop in at the landmark church. The classic beauty of this city has made it one of the most romantic wedding locations in the world. Coming back to Villa del Mar Puerto Vallarta for an anniversary reminds couples of the love and commitment they share. A Mexico wedding doesn’t have to be merely a dream. Make this fairytale a reality in Puerto Vallarta. With our expert team’s help, planning and preparation is made easy so that you can relish in all the magic and bliss of your special day. From flowers to photographs, each moment has an extra touch of beauty to accompany the bliss of your love. Allow us to help you celebrate your destination wedding at Villa del Mar Puerto Vallarta.